Drove out to the family property on Green River to draw, but over the years I've drawn every nook and cranny of the cabin and grounds and couldn't get inspired. 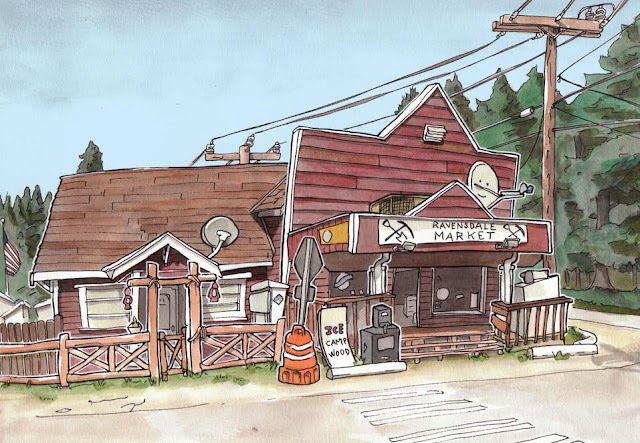 On the way home I pulled across the street from the Ravensdale Market and sketched the store as several locals asked to see what I was doing. "I used to draw," said one old timer who looked like a down-and-out Santa Claus, "but I gave up and threw all my stuff away. You got good details in there." As he walked back to his car, he said, "Yeah, I used to do that." Great sketch, Steve! 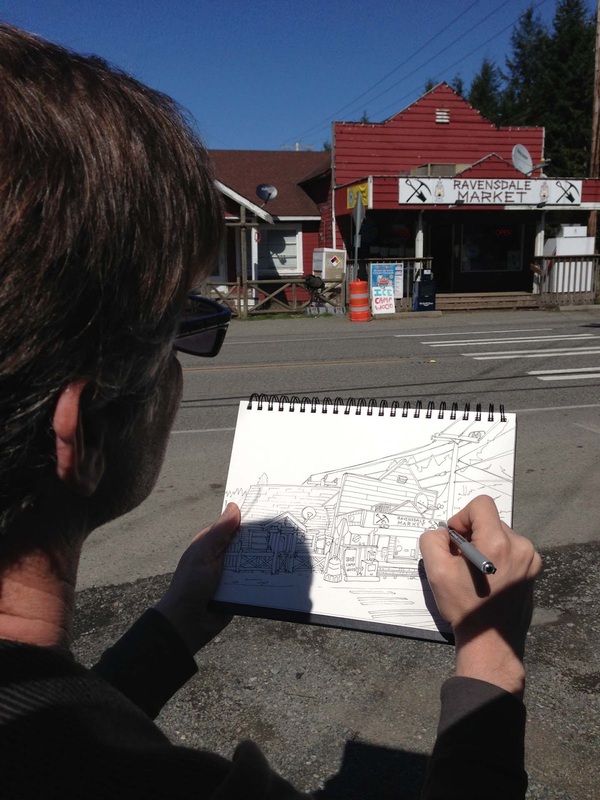 One does not need to know where and what Ravensdale is to be able to gather a sense of the place from your sketch! Steve, your sketches mesmerize me. May I just sit and watch you sketch and paint some time?? Excellent sketch! Welcome to my neck of the woods, my in-laws live five more minutes east of the Ravendale store and I played little league in the park across the street. 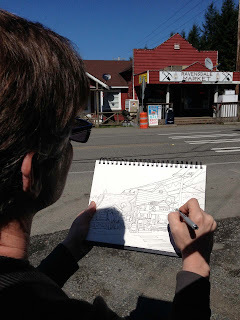 Carleen, we'll have to sit near each other at an upcoming sketch crawl and peek at each others progress. Mark- our family reunion is held near the Howard Hanson headworks on green river each August. It's my second home.